I have a German friend who, after one of her fantastic meals, breaks out her Kräuter and fills aperitif glasses for everyone. To her it’s simply tradition. For the rest of us it’s a pleasant extension of her unmatched hospitality—and a welcome end to a heavy dinner. Digestive bitters have been used for centuries as a highly effective way to boost digestive capacity, and naturally occurring digestive compounds in foods have been an integral part of our ancestral diets since day one. My friend says bitters are the secret to a hearty constitution. Knowing the science—and seeing her example, I’m unlikely to argue there. Going ketogenic has made me hone in on my fat sources even more than before. This is an essential practice for anyone seriously pursuing a ketogenic diet. As fat will comprise the majority of your calories, you need to maximize the nutrition you’ll obtain from the fats you choose. You could technically go keto using canola oil, refined coconut oil, and MCT oil powder—many of the ketogenic formulas used in epilepsy clinics are highly processed and refined—but I wouldn’t recommend it. Micronutrients still matter. They arguably matter even more when your food sources are restricted. I’ve got nutrition on the mind today. And I’m curious about your thoughts. Health trends and topics have evolved considerably since I first started this blog a decade ago. “Fringe” foods then are now thriving businesses. What was once nutrition heresy is today on the cover of mainstream publications. They’re far from standard, but Primal principles are getting more attention. Where do we go from here? And what’s for dinner? You tell me…. For today’s edition of Dear Mark, I’m answering three questions. The first concerns a recent study seeming to show that saturated fat disrupts our circadian rhythms, especially saturated fat at the wrong time of day. Should we—yet again—trade butter for soybean oil? Second, how necessary are the amino acids found in collagen? Aren’t they found all over the place, not just in collagen? And finally, I answer a couple questions about cutting diets (those traditionally low-fat, low-carb, high-protein diets) and if they can be adapted to a primal way of eating. If it were up to me, I’d have a steady supply of perfect, ripe avocados on hand. They’d have no blemishes, no bruising, no weird soft spots, no stringy veins running through. Every avocado would be ripe and somehow manage to stand up to rough handling. They wouldn’t be watery or mushy—just creamy. Life would be good, and I’d probably retire and begin an all-avocado diet. But that’s not reality. Avocados are a crap shoot. They take forever to ripen. There’s usually something wrong. Half the time I have to cut out half the flesh just to approach edibility. And I say this living in the home state of the best avocados in the world. Enter avocado oil. No, it’s not quite the same as a plump avocado. No, you can’t make guacamole out of it, although some disgusting heathen has probably tried using gums and thickeners. For that it falls short of a plump avocado. 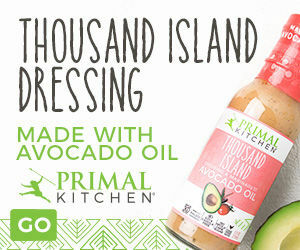 But because first-press avocado oil—the kind I make—retains most of the fat-soluble nutrients, antioxidants, carotenoids, and chlorophylls found in the fruit, just like extra virgin olive oil retains olive nutrients, first-press avocado oil provides the power of the avocado in a compact, reliable, convenient, pourable package. For today’s edition of Dear Mark, I’m answering some questions from the comment board of last week’s collagen post. You guys came up with some really interesting, useful ones that deserve closer examination. First, I explore whether—and how—increasing one’s collagen intake could conceivably worsen a person’s lipid profile. There’s actually a possibility, believe it or not. Next, I give a recommendation for optimal gelatin intake in terms of grams per day. After that, I tell a reader how to know if his store-bought broth is truly gelatinous (and offer an alternative source), discuss the worthiness of octopus and squid as collagen sources, and give a non-bovine gelatin recommendation to a beef-sensitive reader. For years, the bodybuilding, protein-gorging community has maligned collagen for its inessentiality and lack of input into the muscle-protein synthesis process. From their perspective, it sort of makes sense. Why bother with “low quality” protein like gelatin/collagen when you can pound the whey, eat the meat, and focus on other sources of the essential amino acids directly involved in building muscle? Except the research is showing that these “nonessential” proteins are actually pretty darn useful. I generally don’t subscribe to the idea of superfoods. While I’ll try your obscure Amazonian berry that spent a fortnight fermenting in a capybara’s colon, I won’t join your pyramid scheme to help sell it. I may very well add a teaspoon of gelatinized maca root to my smoothie, but I won’t claim it’s responsible for my great health. These foods are perfectly nutritious, contain impressive levels of some unique phytonutrients, and often have robust clinical support as inclusions in healthy diets. But c’mon: who’s regularly eating goji berries for $15 a pound? They’re not even that great. I’m far more interested in the regular “superfoods.” The normal foods that we don’t necessarily consider super. The ones that are just there but have incredible health benefits just the same. For the most part, your diet seems pretty solid. You’re eating eggs on a regular basis. You’ve got, like, six ways to make really good cauliflower. That subtle humming reverberating through the house is just your chest freezer full of half a grass-fed cow. Leafy green vegetables are staples, sweet potatoes appear post-workout, and you’re first in line to buy fresh wild salmon when in season (plus extra for the chest freezer). All your bases are covered, right? Maybe not. 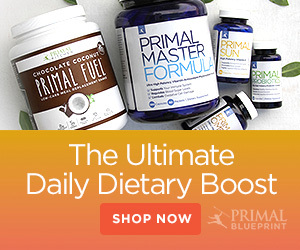 From all the years I’ve been doing this, I’ve spotted a few consistent blind spots in the diets of the Primal community. In today’s article, I will reveal the 10 Primal foods you probably need to eat more often. After each entry, I’ll tell you the easiest (and tastiest) way I’ve found to integrate said food into your diet; no excuses. Are You Eating These Important Supplemental Foods?